Have you noticed the new logo on my right sidebar? I am a huge believer in the bone marrow registry, and encourage anyone who is interested to get involved. You can click on the logo for more information, or I would be happy to tell you what I know, just email me. This is something that is near and dear to my heart and I hope someday I will be lucky enough to be called to help someone. I am excited to say tomorrow I am going to a crop for the day with a new friend. We have talked via email, but this will be the first time we meet "in person" My husband is laughing at all the supplies I have stuffed in my tote. So maybe I will soon have some projects of my own to share with you. In the meantime I will show you some wonderful work from a member of the stores design team. 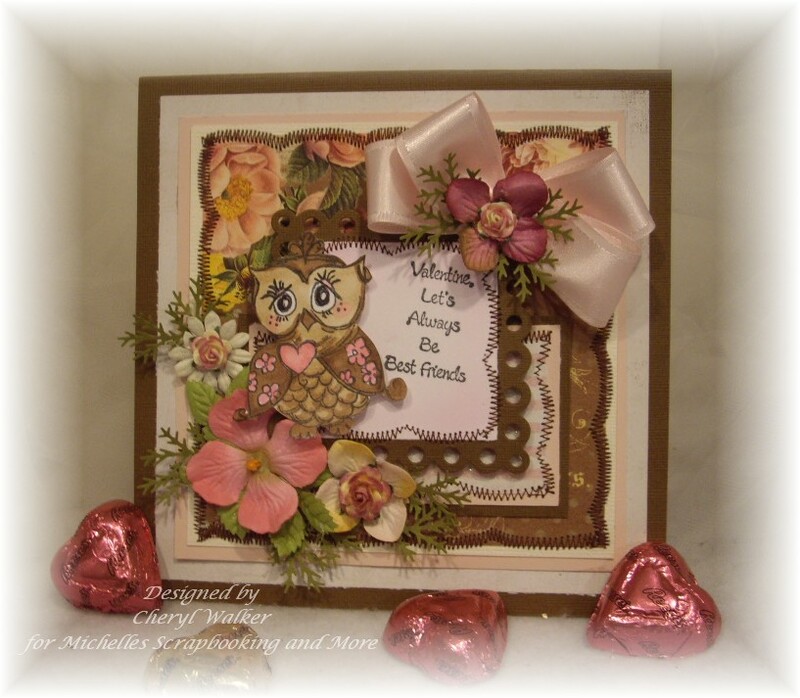 Cheryl made this beautiful card with one of the Belles N Whistles stamps available HERE. Eden with Teddy. I just love Cheryl's sewing. I have been neglecting the wonderful gals who design cards for me, and want to share another card by Cheryl. 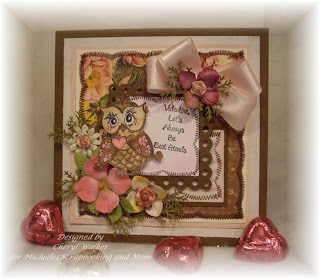 She used a cute little owl stamp from Kaisercraft, and it is only 3.00!! She also used the Spellbinders Eyelet Squares die. 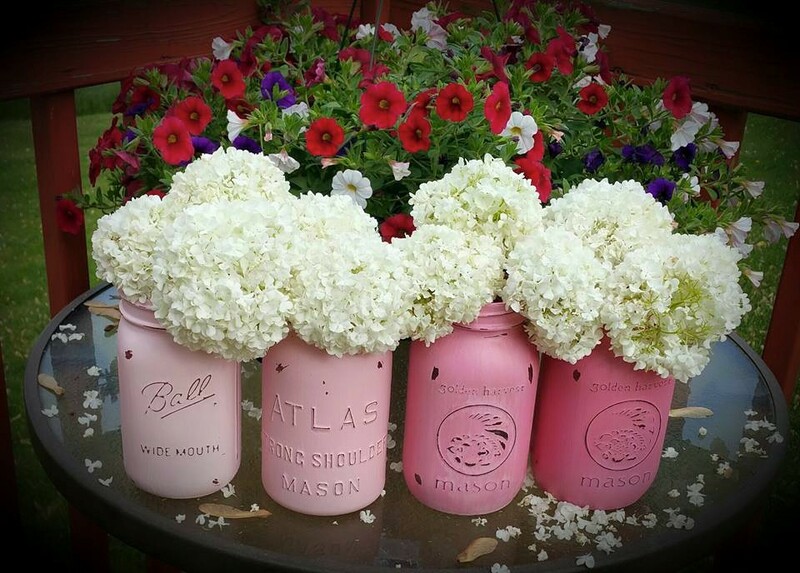 Thanks Cheryl, for sharing all your beautiful work! Really cute cards! I love them. Hi, Michelle! Thanks so much for visiting my blog today and leaving such a sweet comment for me. Your design team is very talented and these cards are amazing! I wish I knew how she gets her stitching to look so nice. I'll bet it took some practice. I love your blog and will be stalking it from now on. I also want to check out your shop when I have a few minutes. These are wonderful cards...That owl is just the cutest!